This listing is for a set of two gorgeous framed prints of Parisienne women in the La Mode Illustre style. The illustrations are stunning, as are the colors. Each print measures 10.5x12.5" and each opening is 8.5x10.5". 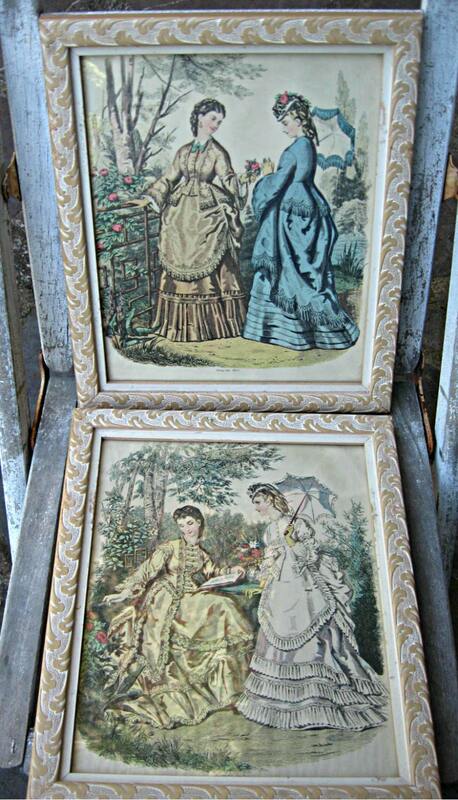 The frames are a bit chippy which adds to their allure, and the backs have peeling paper that could be replaced. I'm not sure when, if ever, I've seen prettier versions of these styles of prints! Gorgeous for that special spot in your home, or even to lean on a mantle.